Such unfortunate results could have been prevented if only parents were educated enough how to protect their children against the scorching heat of summer though it can happen every time you leave your child trapped inside the vehicle. The temperature could be at its hottest at 100 degrees Fahrenheit or even more! You don’t want to leave your child inside the vehicle with a temperature as hot as that, would you? Summer’s an exciting season everyone’s waiting for. And if you’re planning to travel with your children, you’ve got to know how to keep them safe especially at this hottest time of the year. You’ve chosen the best convertible seat for warm weather but you’ll need to take more precaution other than that. 1.1 Be equipped with the right car essentials. 1.2 Look for a comfortable convertible car seat. 1.3 Dress your children with comfortable clothes. 1.4 Bring some drinking water. 1.5 Bring other car essentials. 1.6 Never ever leave your child inside the vehicle! Before you head out for another summer trip or maybe for a quick drive, here are some of the things you can do. Be equipped with the right car essentials. 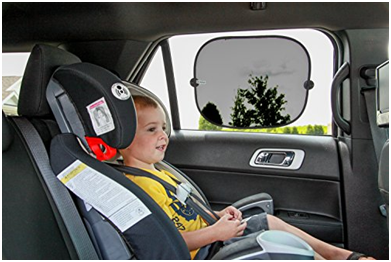 Car Window Shades – Car window shades are one of the most common car accessories parents prefer for sun protection. You too should consider these if you want some extra protection for your child. The sun’s heat is beneficial but at the same time, becomes harmful due to overexposure. Car seats and vehicles burn up quickly and your child’s life could be at risk. With these simple car essential, the car window shades can prevent the car from heating up too fast and block harmful UV rays. Summer Cover – You may not be quite familiar if you’ll hear it for the first time but, the summer cover refers to a blanket. That’s right, a blanket. You just have to make sure it is light-colored. Light-colored blankets are primarily for the car seats or convertible car seats which can be beneficial to the children. When a vehicle is exposed under sunlight, the heat builds up inside and the car seats absorb it. Too much heat may cause damage to the car seats or can be too hot for the children to sit on. The light-colored blanket is used to cover the seats while you’re out. It makes the car seats cooler thus keeps the children cool and comfortable. Car Tints –If you have an extra budget and can afford another car essential, you may invest for having your car windows tinted. Car window shades are preferred by many as it is affordable and easy to put up. On the other hand, car tints may be costly for some parents but it is worth the money. Just how car window shades work, they assure protection against the sunlight but actually doubled. They are effortlessly effective to keep your children safe from the harmful effects of too much heat from the sun. Look for a comfortable convertible car seat. You can consider looking for the best convertible seat for your children to make your child more comfortable. 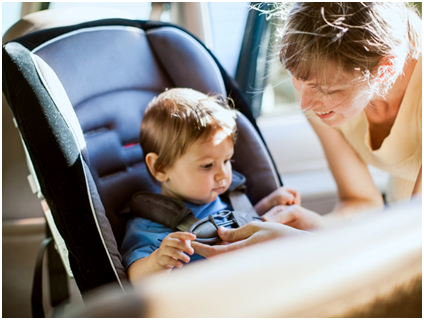 Inappropriate car seat for your child will make your child uneasy during the whole trip. Wrong placement and choice of car seats can also be harmful for the children. Their safety will be put at risk. 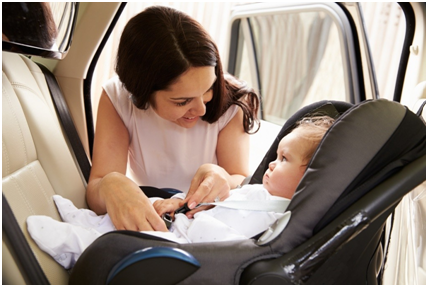 If you have a convertible car seat installed inside your car, it ensures comfort and safety for your child. On the other hand,some innovative car seats were also designed with cooling system and emergency alerts. These functions enable the parents to keep track of their child and alert them whenever a danger caused by excessive heat, occurs inside the vehicle. Dress your children with comfortable clothes. Long trips could be inconvenient at times and wrong choice of clothes can make it even worse. Even if they look very comfy at the backseat, they may not be if they are not dressed up well. Summer is a friendly season but you have to cope with it well. Let your children wear something appropriate for the summer. You can also bring sunglasses. 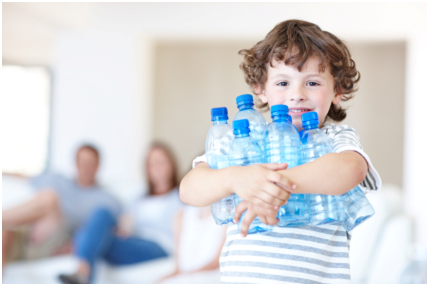 Aside from snacks, include some bottles of water in your luggage or better yet, place them in a cooler. It would be nice to take some stop overs to buy drinks or coolers but would you wait another stop to quench your thirst? It is always best to have yourself backed up all the time whenever you need to drink and quench your thirst out on a hot sunny trip. It may take long hours before you get to your destination and the long travel can make your children bored at times. 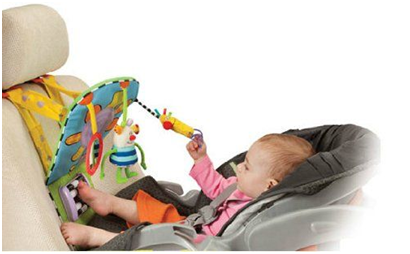 You can bring some car seat toys for them to play with. Just make sure that when you leave them seated on the backseat or in an infant seat, they are still secured with a seatbelt. Never ever leave your child inside the vehicle! It may sound hilarious but seriously, never ever leave your child inside the vehicle especially if the weather’s too hot. Like what was mentioned above, the sun’s heat can quickly build up inside the vehicle and may put your child’s life at risk. It may cause life-threatening health issues, physically and mentally and may even cause death. If ever you really need to go out and maybe stop by for a while, don’t. Take your child with you. 15 minutes is long enough to cause damage to your child’s health. You’ll also find it ridiculous to hear some parents forget, yes forget, their baby or child inside the vehicle. Doctors called this syndrome as the FBS or Forgotten Baby Syndrome where the parents accidentally forget their child inside a parked vehicle. With such incident, eventually, the child dies. So, do not forget and leave your child inside the car or you’ll regret it your whole life. Travelling with your kids in the summer is indeed a fun thing to do but with such fun comes a responsibility you have to fulfill. You have to be mindful about every precaution to keep your child safe while heading your way to the destination. From choosing the right car seats and car accessories to the simple summer trip reminders, you and your child will experience the comfiest and safest summer trip ever.